I'm already using GPIO3 for my power switch with a button that shorts GPIO3 + GND. If I want to keep using the power switch, what are my options? Can I connect both the gesture sensor AND the power button to GPIO3? Multiple devices on the same GPIO pin, will that work or will it fry my pi? You can't use both the sensor and the button on the same GPIO pin. Swap the button on to another GPIO pin. See this site (https://pinout.xyz/) to figure out which GPIO pins are available. 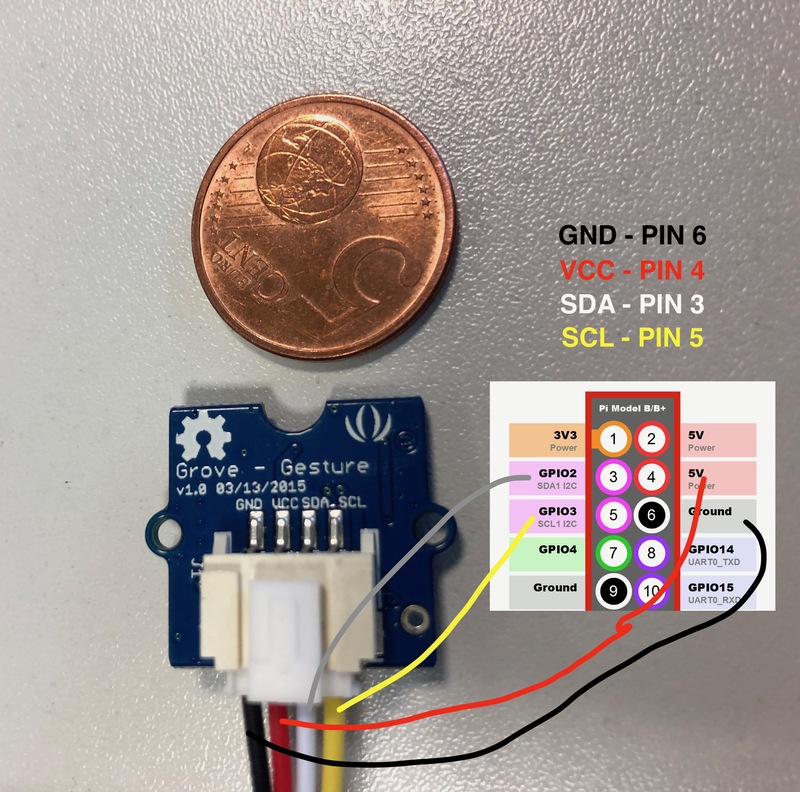 GPIO3 can be used to wake the Pi as the I2C interface isn't active when the Pi is in it's halt mode but it can't be used as a shutdown pin because the grove sensor needs to use the I2C interface. You can have two buttons, one to wake and one to shutdown.